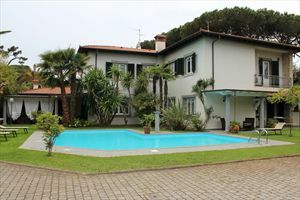 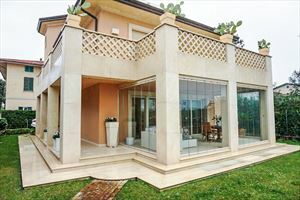 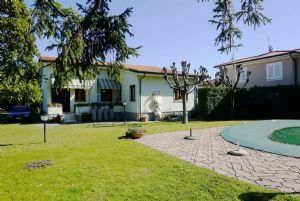 A modern detached villa with a small neat garden, located not far from the promenade of Forte dei Marmi, within a short walk from the central square. 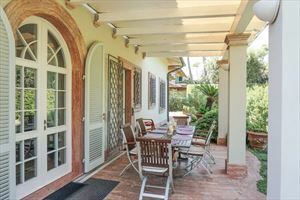 The ground floor consists of a living room, a dining room, a kitchen with a separate access to the garden, double bedroom and a bathroom with shower. 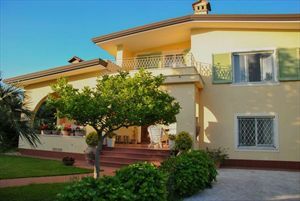 Upstairs there are 2 double bedrooms with balconies overlooking the sea, a bathroom with bath and shower, a bedroom with twin beds and a bathroom with two shower cubicles. 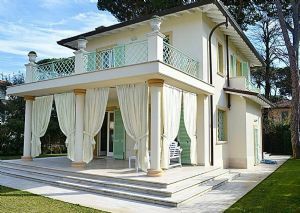 The house is equipped with an alarm system, air conditioning, internet Wi-Fi, satellite TV. 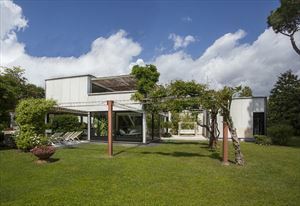 There is a parking, a covered terrace with dining table, barbecue area, spa bath.